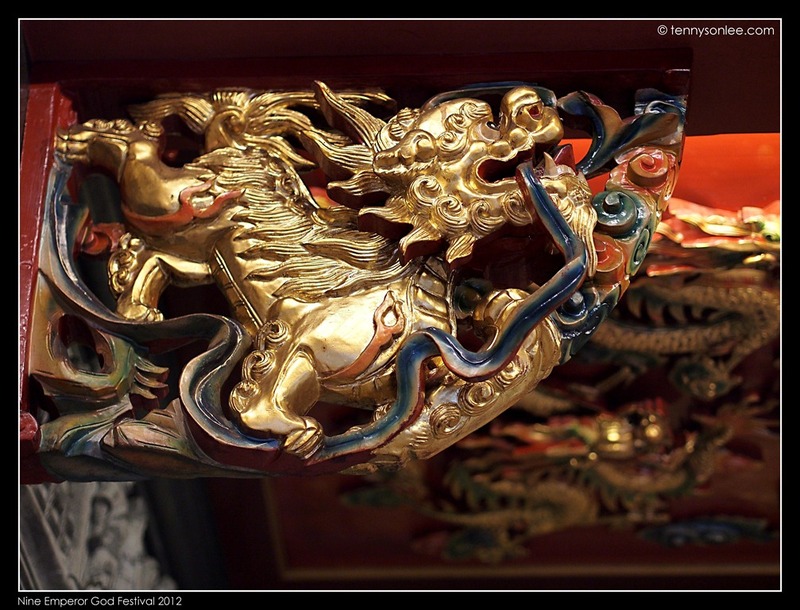 Tomorrow will be the first day of the 9 days celebration of the Nine Emperor Gods Festival. 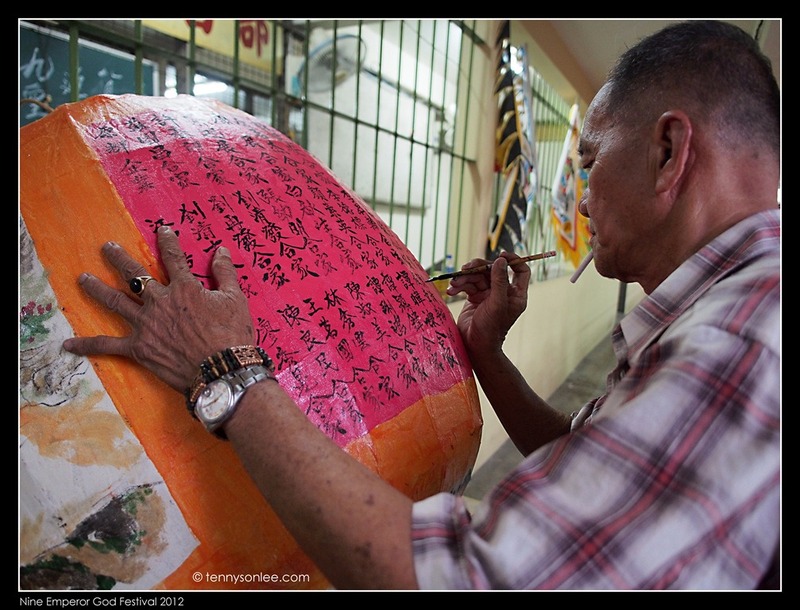 We visited the oldest Nine Emperor Gods Temple in Ampang, Kuala Lumpur (安邦南天宫) on the eve of the festival. This year is the 150 years celebration of the festival in this temple. 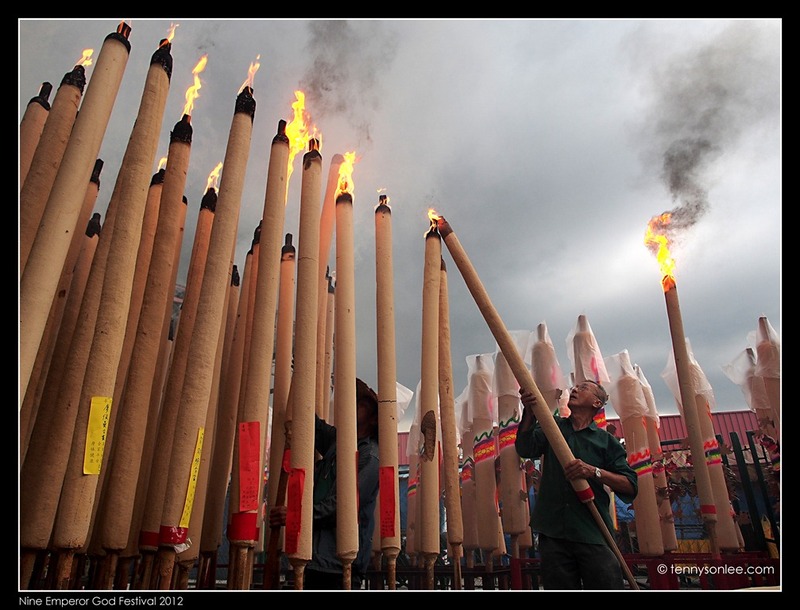 So it is a special year for the folks in Ampang and devotees from afar. I used to visit the similar temple in Ipoh, so many of the practices and culture were a great reminder of my childhood memory. 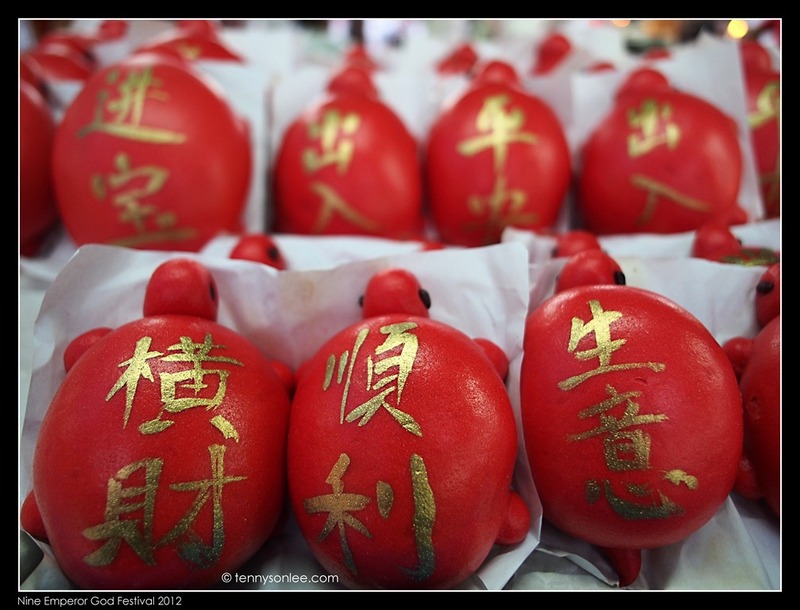 This kind of ‘lucky bun’ would only be available during this festival. 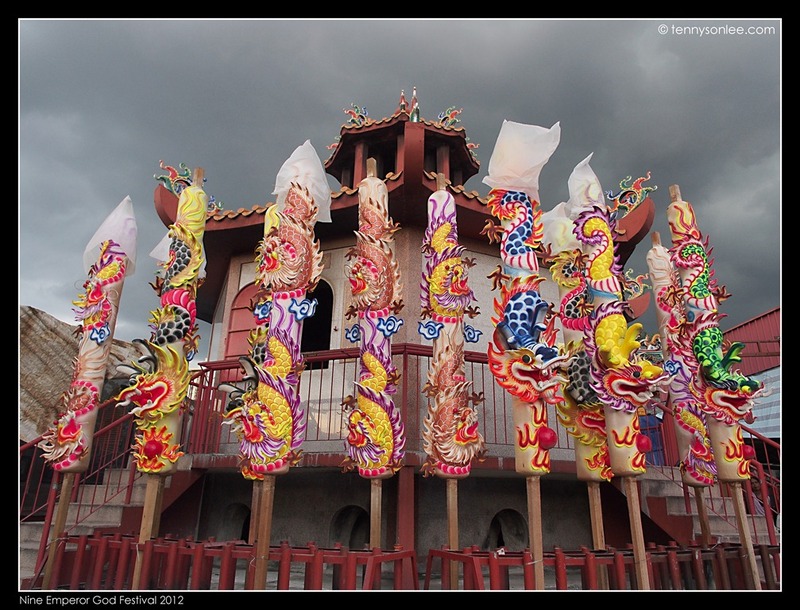 Many Chinese would relate to raining days to the festival, because it always rain during this time of year. Thunder cloud were forming when we arrive in the evening. Luckily there was no heavy rain today. If it rains, the giant joystick would be affected. 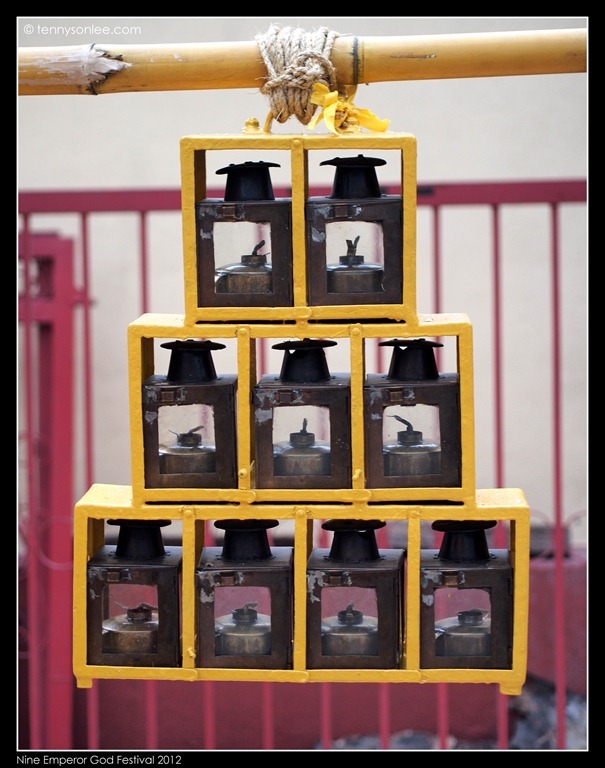 On the eve, the 9 lamps will be hanged to the top of a 36 feet bamboo pole. 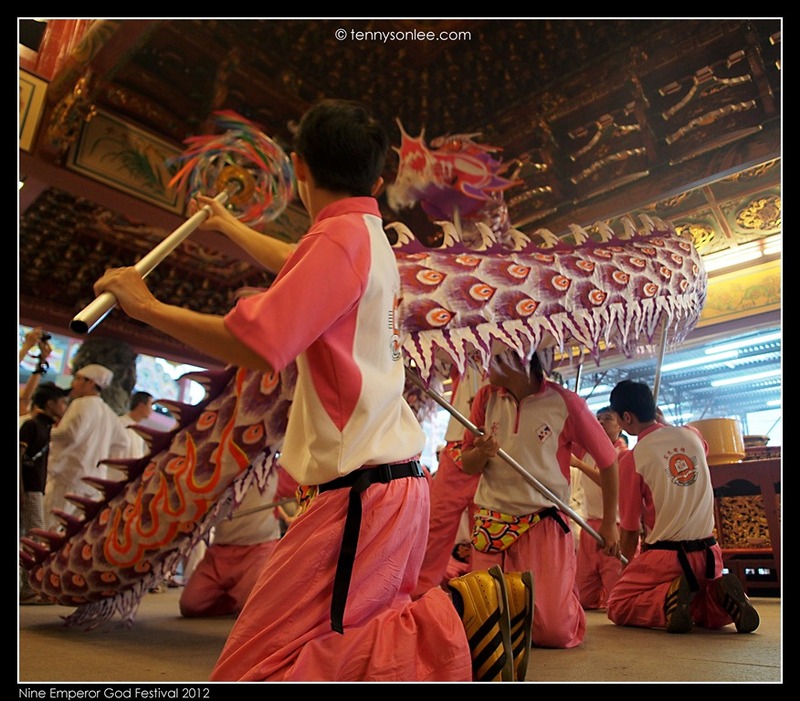 Many local businesses and associations were sending their troops to greet the Nine Emperor Gods. 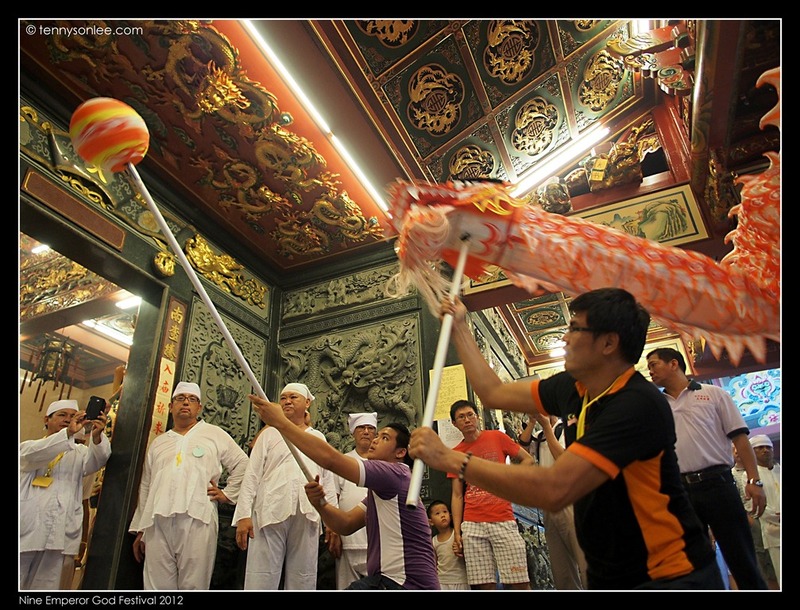 The typical composition could be lion and dragon dance. Some would enter to the temple (forbidden to visitor today). We were hanging around the temple compound to witness the constant flow of greeting troops. 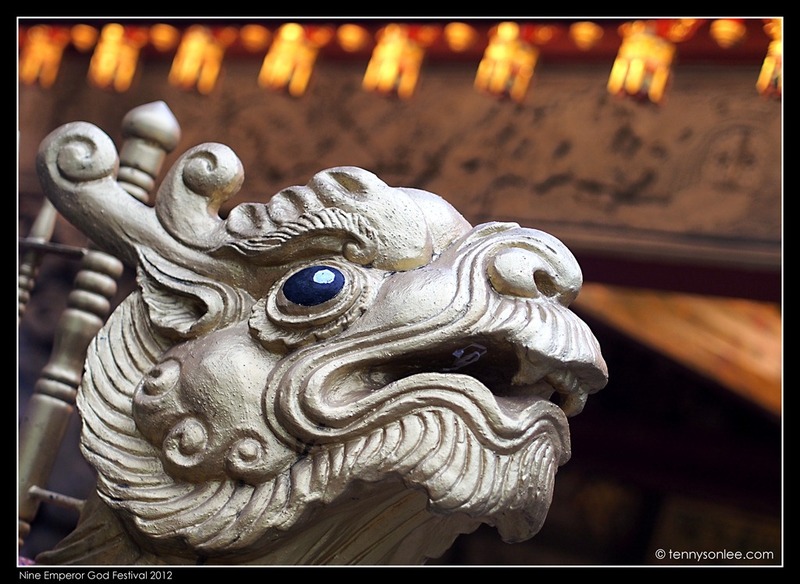 This entry was posted on October 14, 2012 by Tennyson. 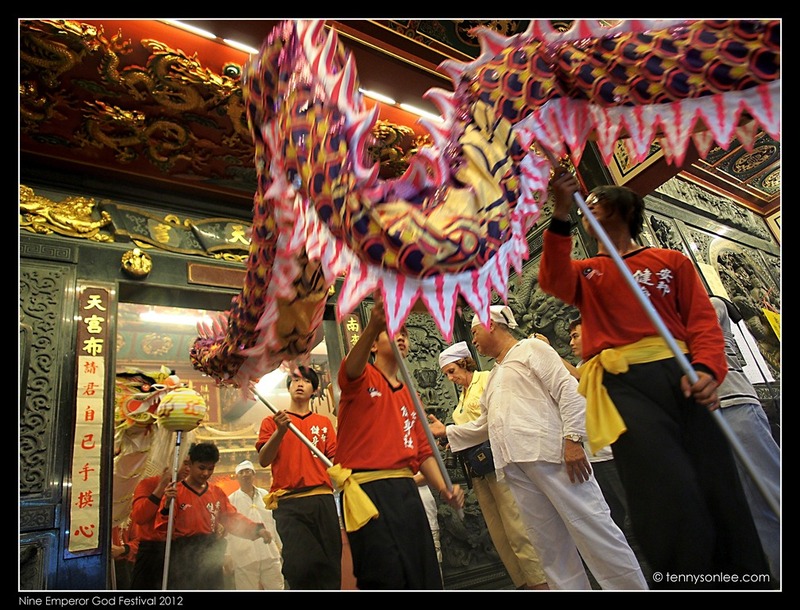 It was filed under Culture and Religion, Festival, Genre, Kuala Lumpur, Malaysia, Places and was tagged with Ampang Nine Emperor God Festival 2012, 安邦南天宫九皇爷诞. I have never heard of this festival before. It looks like a very spectacular and colorful celebration. And your images are beautiful – so vivid and so alive. 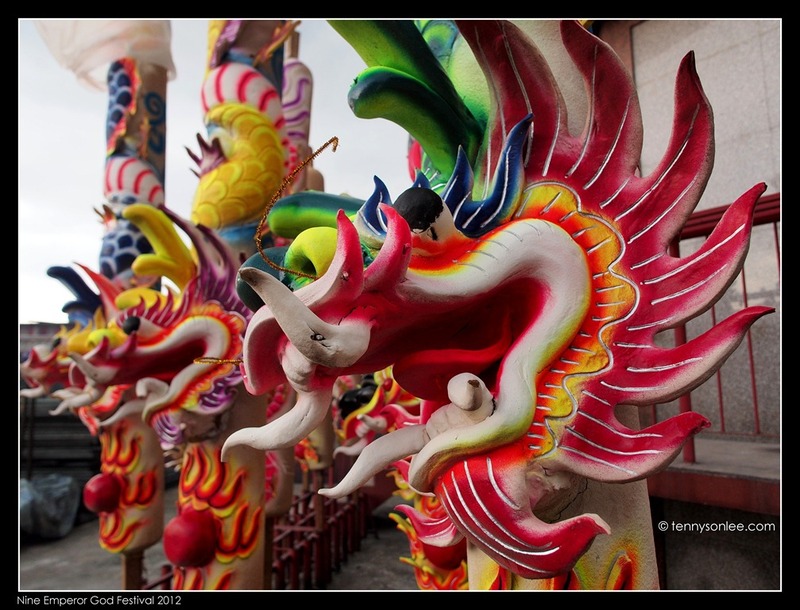 Hi Marisol, similar and slightly different (or more interesting) celebrations of Nine Emperor Gods also could be observed in Phuket (Thailand) and Penang (Malaysia). Those devotees in Thailand like to pierced gun, leg of a chair and other bizaar objects throught their mouth. I would like to plan for a visit to Phuket during this time of year (do take note that now is the raining season).